The solar plexus chakra is located in the stomach area and is connected to the digestive system. This is a place of vitality, confidence, courage, integrity, joy and sweetness. The archetype of Hummingbird is symbolic of the solar plexus chakra. It represents the eternal light that is within us, the internal source that fuels us as well as the external sun that shines upon us. The light of the solar plexus casts shadows within the self. The greatest gifts can be found hiding behind our fear. This chakra goes into the darkness of the self to retrieve the wisdom born of fire. By making peace within the darkness one can more fully stand in their light. 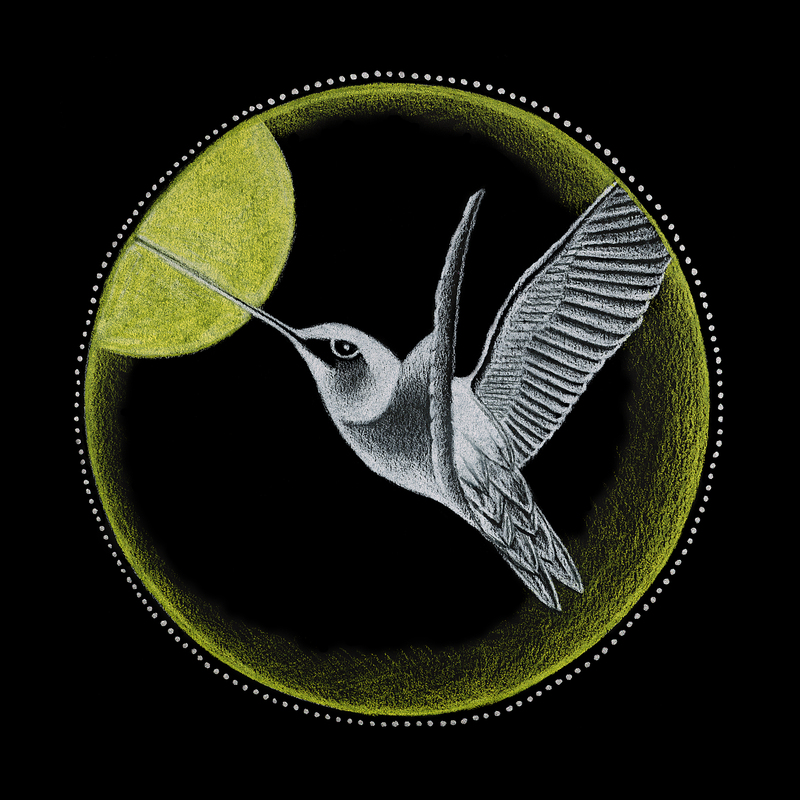 The Hummingbird’s ability to migrate long distances and hover in the air makes it a creature of mythical proportions. They ignite the imagination by inspiring us to see life as a sacred fairytale. Hummingbirds remind us that the impossible is possible as we transform our lives with courage, determination and joy. Hummingbirds bring sweetness into our lives. They give us the power to rewrite our soul’s story as we connect to our true north, the inner compass that guides us through life. In some native cultures the Hummingbird is the totem of the soul and is used for soul retrieval. The mythical realm of the Hummingbird transcends time and space. Message: Whatever is challenging you can be transformed in your favor when you approach it from a place of gratitude. This is the hero’s journey of moving through obstacles to reconnect with your soul’s true purpose. Imagine your life as a sacred fairytale filled with twists, turns and wonder. As the author of your story you are able to write a new ending. Remember that the impossible is possible when you focus on the sweetness in your life.